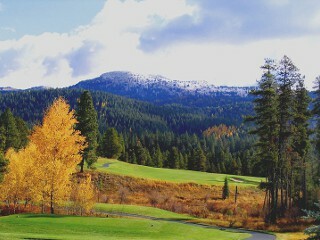 Jug Mountain Ranch offers a classic mountain links course just south of McCall, Idaho. The 18 hole course is the perfect combination of challenging play, spectacular views and varied terrain. The course was named America's 2nd best new course under $75. The course was designed by Donald Knott whose previous work as project architect for Robert Trent Jones II Group included the widely acclaimed Links at Spanish Bay (Pebble Beach), Rancho La Quinta, Sun Valley Resort, and more than 60 other courses around the world. 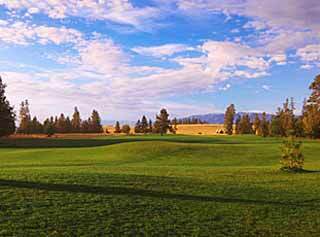 Jug Mountain Ranch is also proud to offer one of Northwest's best practice facilities, including a large driving range and practice green. The Jug Mountain Ranch restaurant has gained quite a reputation for its delicious food and spectacular setting. Sit outside on the patio and enjoy the view while dining on delicious homemade dishes and desserts served for lunch and dinner, or cocktails from the fully stocked bar. Also open Saturday and Sunday for brunch. General Location: Located off Farm to Market and Lake Fork Roads. Directions: From Hwy. 55 at Lake Fork, go east 1.5 miles on Lake Fork Road to the entrance of Jug Mountain Ranch. Follow the signs to the Clubhouse and Pro Shop at 13834 Farm to Market Road. 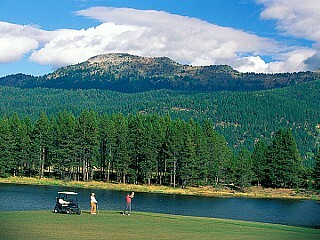 We do not have any current pre-built packages for Jug Mountain Ranch Golf Course . Mid July through early September. Please note: Guest reviews may mention certain amenities that may no longer be offered with Jug Mountain Ranch Golf Course. Please check the amenities prior to booking to confirm. "Been there before will go there again"
"The greens were the worst greens I had ever played on. You need to ask the conditions of the greens prior to making a reservation." 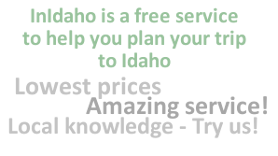 "Arguably the best course in Idaho, with awesome scenery, layout of very challenging holes,and conditioning. Early October and the greens were perfect. 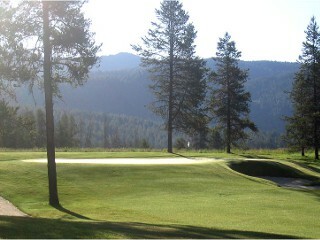 On a level with the best courses in Jackson Hole area, which is saying alot!" "What a gorgeous course with views and all it has to offer. The course was in great shape maybe a little over priced but that is to be expected given the location and quality of the course. we had a great round."